This is to inform the University Community that issuance of admission letter for the newly admitted students has commenced today, Thursday, 15th February, 2018 and ends March 23, 2018. All successfully screened candidates are hereby informed that they are required to print their admission letters and move on to Central Registration. 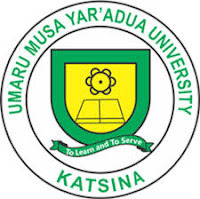 Read Also: UMYU Admission List and How to Print UMYU Admission Letter. UMYU Fresh Students Registration Guidelines. To print your Admission Letter, click on ‘Print Admission Letter’ link at the left hand side. It is recommended to use a color printer to print your admission letter. Note that you can only print your original admission letter ONCE. Click on ‘Print Other Forms’ under the ‘Print Admission Letter’ link to download and Print Student Guarantor Form, Acceptance of Provisional offer of Admission Form and Form 01. Fill the forms diligently and proceed to the next step. To commence the online registration, go to https://umyu.edu.ng/ugadmission/ enter your UTME/ DE Reg. No and UTME score/ DE default Password. Click ‘Log on to portal’ under ‘Print Other Forms’ link to openyour personalized page. Supply all the required information on your personalized page including your most recent passport photograph (Snapped on RED background), signature, email address, home address and phone number. The system will automatically redirect you to the payment page immediately you click the ‘Save Profile’ button as described in step 2 above. Collect your University Email address from the Directorate of ICT (DICT). To commence the online Course registration, log on to ‘portal.umyu.edu.ng’ using your university email address collected from the DICT to open your personalized page and register your courses. To make a room (bed-space) reservation click on ‘Reserve Hostel Room’ link on your portal profile. Upon successful reservation, proceed to make payment using any of the payment options above. Accommodation payment attracts an additional N300 Bank Charges. Please contact Registration Helpdesk on registration.helpdesk@umyu.edu.ng for inquiries related to new students’ registration.